XMPie partners closely with a number of industry leaders in such areas as technical integration, business development, marketing and distribution. JR GROUP is a Reseller and Integrator of proven customer communications solutions. We help clients take advantage of the best combination of technology to address important communications challenges. A reseller and integrator, we leverage our IT, production and communications expertise to recommend the platforms, tools and solutions that help Print Services Providers, Marketing Agencies, Healthcare organizations and Financial Services firms engage with constituencies effectively, efficiently and securely—and keep compliant. Our knowledge of the marketing and communications market space, combined with strong relationships with software providers, puts us in the unique position to partner with you. We offer IT expertise, plus the innovative solutions, services and approaches, that position you for success. Our five practice teams—XMPie, PMO, Compliance, Integration and Sales—make substantial impact on your behalf. NI Solutions help businesses to improve the efficiency and ensure the quality of their media production. Everything starts with an analysis and results in new ways of working and smart solutions. Save time, ensure the quality of the media production and create new business opportunities - we show you how. NI Solutions directs to companies that require highest quality. Media production and publishing is your core business - to make it work the best way is ours. Our customers include in-house departments, production companies, advertising agencies, newspapers, publishers, printers, pre-press and sign companies. Germany — Situated in the southwest of Germany, Printdata is a specialist for print communication and digital printing. Printdata helps companies in the German speaking market of Europe to be profitable in the new business of printing and offers complete solutions, consulting and integration for Short-Run-Production, Variable Data Printing, Printing-On-Demand and Web-To-Print. The technical consultants and service engineers of printdata combine long experience in DTP, Prepress, Offset und Finishing with the digital competence in computing, networking, Internet and database management. Workflowz Ltd is a software distribution and integration business, representing best of breed solutions in the UK and Ireland, in addition to other territories including Oceania and South Africa. Workflowz, the UK reseller of XMPie, is built on the principles of supplying quality products and associated professional services. Our extensive product range continues to grow through listening to our customer's requirements, constant improvements and by predicting not just following trends. Our unique service has established our place in the industry as the place people go to to discover innovation, efficiency improvements and best practice. This allows us to make a distinctive and substantial impact for all our clients. Headquartered in Norwalk, Conn., Xerox Corporation‘s 54,000 people represent the world’s leading document management, technology and services enterprise, providing the industry’s broadest portfolio of color and black-and-white document processing systems and related supplies, as well as document management consulting and outsourcing services. MultiChannelMachine (MCM) is an affordable, pay-as-you-go, managed solution for personalised, automated & integrated cross-media marketing engagement. MCM empowers brand communication, by applying current technology and productive digital workflows, to redefine and simplify the brand’s interactions with its customers and the marketing production ecosystem. MCM is based in the UK. NexPress Solutions, Inc. designs, develops and markets digital color and black-and-white printing solutions for on-demand and variable-data printing. Its award-winning Kodak NexPress 2100 digital production color press sets new standards for uptime, reliability, image quality and consistency. It is available with a broad variety of digital application and customized workflow solutions, plus professional consulting. AccuZIP, Inc., a national software company based in Atascadero, CA, provides feature-rich solutions to manage Contact Data Quality, Address Hygiene, USPS® Postal Presorting and Compliance, Mail Tracking and Reporting and much more. AccuZIP’s solutions, whether used as standalone solutions or integrated into strategic industry partner platforms, provide functionality to many industry verticals to streamline, standardize, automate and simplify processes associated with data entry, data management, USPS Mailings and multi-channel communications. Adobe helps people and businesses communicate better through its world-leading digital imaging, design, and document technology platforms for consumers, creative professionals, and enterprises. Founded in 1982, Adobe today is one of the world´s largest software companies, generating annual revenues exceeding US$1.2 billion. PunchOut2Go is a recognized global vendor of PunchOut and B2B order automation solutions, supporting thousands of integrations in over 35 countries on upwards of 70 different eProcurement systems. PunchOut2Go for XMPie makes it easy to connect XMPie-enabled web-to-print storefronts with buyers that use eProcurement applications such as Ariba, SciQuest, Coupa, SAP, Oracle and more. This allows buyers to shop within a uStore-enabled storefront where they can personalize or customize a product and create an order whereby the shopping cart and order data are seamlessly and securely synchronized with their eProcurement system. 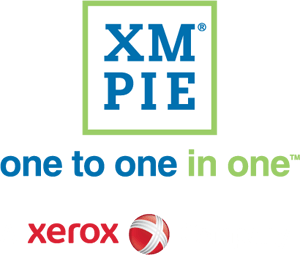 XMPie and Optimus are collaborating to offer a fully integrated Web-to-Print and Management Information System (MIS). Now your customers can effortlessly place their orders from an XMPie store or web portal and see live stock and immediate dynamic pricing from the Optimus Dash MIS. This allows you to maintain a single pricing and stock system, knowing that the information is always accurate and up-to-date. Launched in January 2015, documobiFUSE has changed the mobile industry! Making print work harder and TV advertising trackable, it is encouraging the world of mobile to unify its tactics. documobiFUSE is a simple API, which integrates seamlessly with an existing app and allows a consumer to scan, with their mobile device, any type of print collateral: magazines, brochures, billboards and even bus stops. The FUSE API is also holds the record for being the world’s first application that can scan video, whether that be gifs, YouTube, digital out of home or TV advertisements. Fuji Xerox helps organisations take control of their documents, manage costs and improve productivity. Fuji Xerox distributes Fuji Xerox and Xerox Corporation products and services throughout the Asia Pacific region with operations in Japan, Australia, Korea, Taiwan, the Philippines, Thailand, New Zealand, Singapore, Malaysia and Vietnam. Graphic Arts Alliance, LLC was formed in September of 2002 with over 50 member companies. The mission of the GAA is to help each member increase profitability through leveraged purchasing with National Contract Status, information sharing and technology. Highcon was founded in November 2009 by Aviv Ratzman and Michael Zimmer. Michael and Aviv have extensive experience within the finishing and the digital print markets, initially with Indigo NV and latterly HP. Highcon is headquartered in Yavne, Israel where technology and product development is undertaken by a growing team of highly skilled and experienced people. Highcon has developed a unique patented converting solution for the Folding Carton finishing market based on its proprietary DART (Digital Adhesive Rule Technology). This digital cutting and creasing process brings all the benefits associated with digital workflow into the existing analogue packaging market. The first product, the Highcon Euclid, was presented at the May 2012 DRUPA exhibition in Dusseldorf Germany. locr was founded in 2006 in Brunswick/Germany and is the world’s leading full service provider for personalized maps and geodata. locr’s maps and geodata come from several leading partners, including NAVTEQ and OpenStreetMap. Using this range of providers ensures that the maps we create are always up-to-date and accurate. Ogone Payment Services delivers manual to fully integrated solutions for managing electronic payments in several domains including e-commerce, ticketing, call centers, airlines and travel in both business to consumer or business to business (purchasing cards) environments. Ogone Payment Services is connected through certified links to more than 100 different banks/acquirers that enable handling of over 40 international and local payment methods like Visa, MasterCard, American Express, Maestro, Solo, PayPal, ELV, Carte Bleue, MisterCash, Dankort and iDEAL. The company was one of the first Payment Service Providers to offer Verified By Visa and MasterCard SecureCode. XMPie is a member of PODi and serves on both its Technical and Marketing Workgroups. PODi is a not for profit industry consortium that was formed in 1996. Its charter is to foster the growth of the digital printing industry through market and standards development activities. PODi promotes interoperability through the PPML suite of open, XML based standards, test suites and certification. PODi members are industry leaders representing all facets of the digital printing ecosystem, including software, hardware and other industry vendors, print and marketing service providers, and enterprises. Precedent Technologies is a Full Service I.T. Solution Provider & Business Consulting firm. They are located in Atlanta, GA and offer end-to-end business solutions for organizations of all sizes all over the United States. IQ is a privately owned company providing IT, custom software development and business solutions to the printing industry. We have been delivering IT-based solutions to business for the past 18 years and have staff based in Australia, New Zealand, and North America. The printIQ MWS (Management Workflow System) encompasses everything from a full customer web portal, with online quoting, ordering, and payment gateway through to end-to-end automated production with live display, automated outsourcing, inventory, purchasing & dispatch. When you combine this with our integrated pre-flighting and document editing, plus ganging and remote site integration, the landscape really starts to change. At IQ we ‘innovate’ not ‘imitate’. Sony DADC is a full-service technology and solution provider for optical media, offering services from the traditional replication business to advanced solutions. Their global services are: web-based business solutions, audio and video postproduction, DVD, UMD and Blu-ray Disc authoring, digital rights management, graphic design, mastering, replication, label printing, packaging, distribution and fulfillment. Tecra is a US-based IT services company founded in 1998. With 270+ employees and offices in Detroit, MI; Austin, TX; Rochester, NY and Hyderabad, India, Tecra is a leading provider of custom development for VDP and Cross Media applications that work in harmony with XMPie solutions.